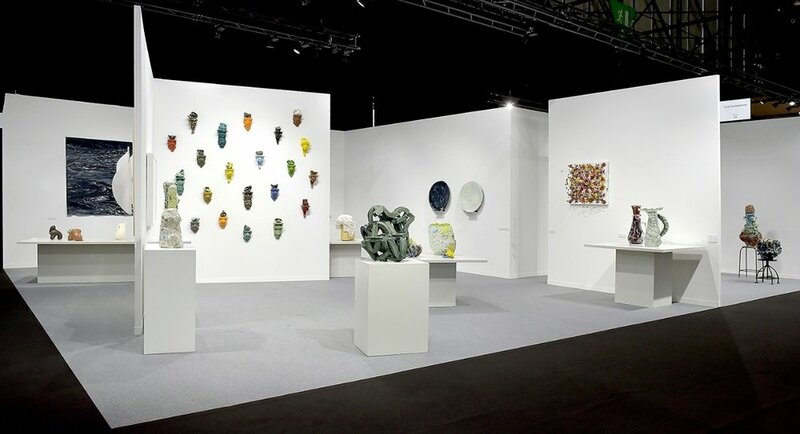 Taste Contemporary returned to artgenève 2018 with a curated exhibition of work by gallery artists such as Marit Tingleff, Michael Brennand Wood and Deirdre McLoughlin as well as other works by internationally renowned artists working in ceramics, textiles and glass. In 2018 Taste also presented a solo exhibition of work by the New Zealand based artist Virginia Leonard. Group Exhibition at artgenéve 2018 featuring work by Heidi Bjørgan, Grant Aston, Aneta Regel, Marit Tingleff, Michael Brennand-Wood and Fredrik Nielsen. Group Exhibition at artgenéve 2018 featuring work by Kari Dyrdal, Deirdre McLoughlin, Richard Meitner, Adi Toch, Su Xianzhong and Jeremy Maxwell Wintrebert. Works by Grant Aston, Aneta Regel, Michael Brennand-Wood, Heidi Bjørgan, Kari Dyrdal and Su Xianzhong featured at artgenéve 2018.